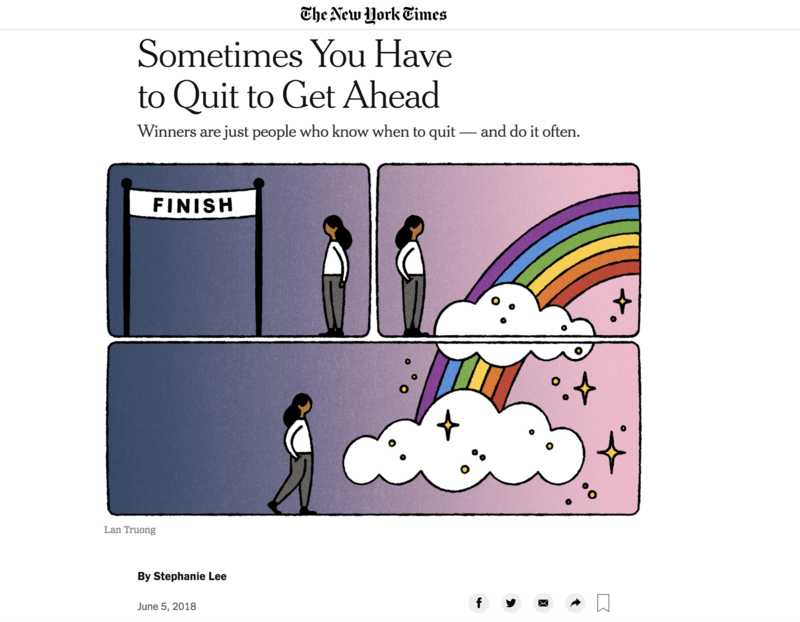 Article at a glance: Inspired by the book The Dip: A Little Book That Teaches You When to Quit by Seth Godin, this article was one of the more popular articles of 2018 in the Smarter Living section. It offers counterintuitive advice: Quit. Quit the things that don’t help you so that you can leap toward your goals. How the article got published: Slowly… If you include the time it took to pitch this, this article had been in the making for a solid seven to eight months. I shared some of my experience in a GrowthLab article here.